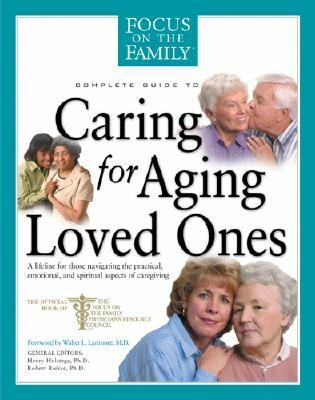 Whether you're preparing for the responsibility or are in the midst of caring for an elderly loved one, this complete guide from Focus on the Family provides the practical information you need�and a spiritual and emotional lifeline. Topics include burnout; physical, emotional, and mental changes in aging; medical, financial, and legal help; elder abuse; choosing a care facility; and end-of-life decisions. Caregivers will also learn what the Bible says about caregiving and the keys to effectively fulfilling that role. True stories throughout the guide share common concerns and a sense of support from those who have been there.